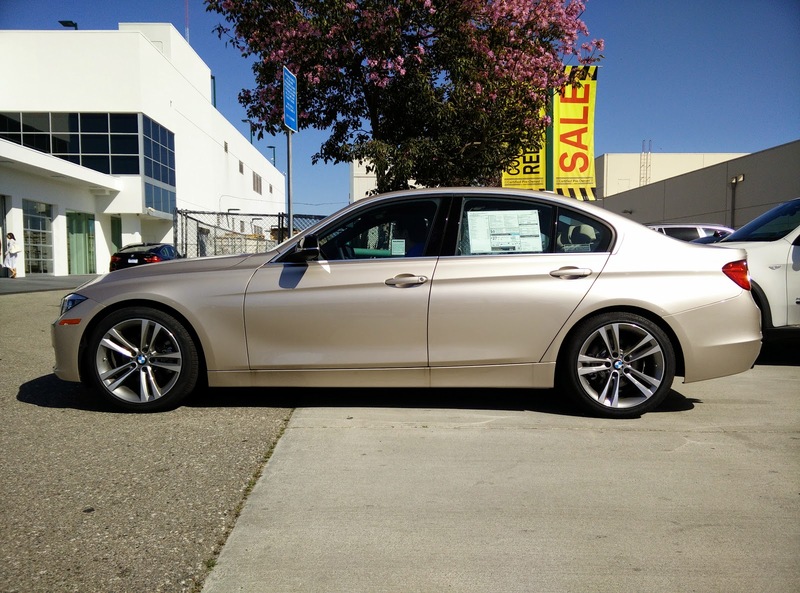 Over the past few weeks, we have looked at a total of seven different mid-size luxury sedans. Our criteria for these sedans were that they needed to be two-wheel drive (primarily for fuel economy purposes), have no more than 250 horsepower, and should have equipment similar to a Honda Accord Touring (leather, navigation, LED or HID headlights, back-up camera, etc.). Pretty much every luxury car manufacturer has a mid-size vehicle that fits this criteria, but we chose these seven as they are often considered to be the most popular in this segment. Seven enter, but only one will emerge the victor. This was a pretty difficult category to judge as all seven cars definitely do not look bad. Going from the bottom to the top, the Cadillac ATS takes last place, not because it is an ugly car, but because it is starting to show its age a little. The IS250 takes 6th thanks to its funny looking front end. Acura's TLX takes 5th simply because it is a bit dull, especially with the 17-inch wheels on our test car. 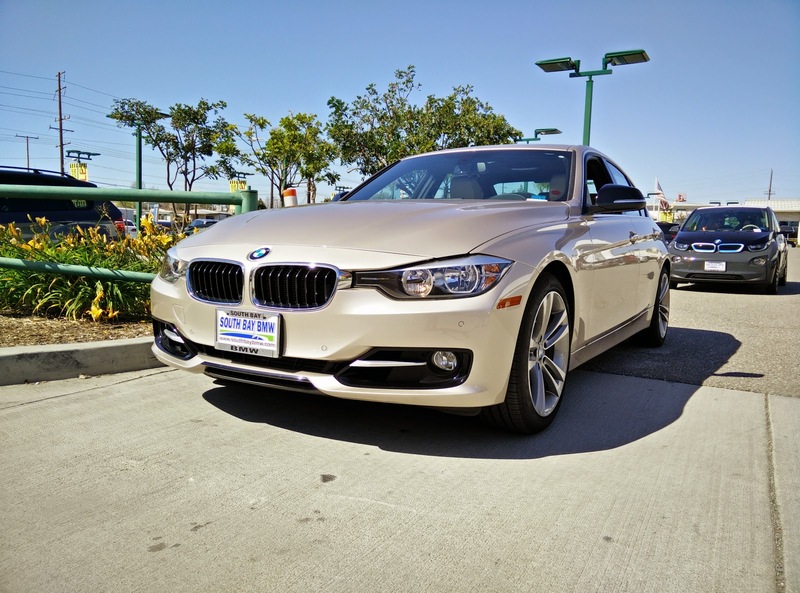 The 328i takes fourth because while it is a classy look, it feels uninspired. Audi only just barely edged out the BMW because the A4 looks more elegant than the 3-series. Second and first place was extremely close. Both the S60 and the C300 are fantastic looking vehicles, but the S60 takes first because the C300's proportions look a little odd from certain angles. 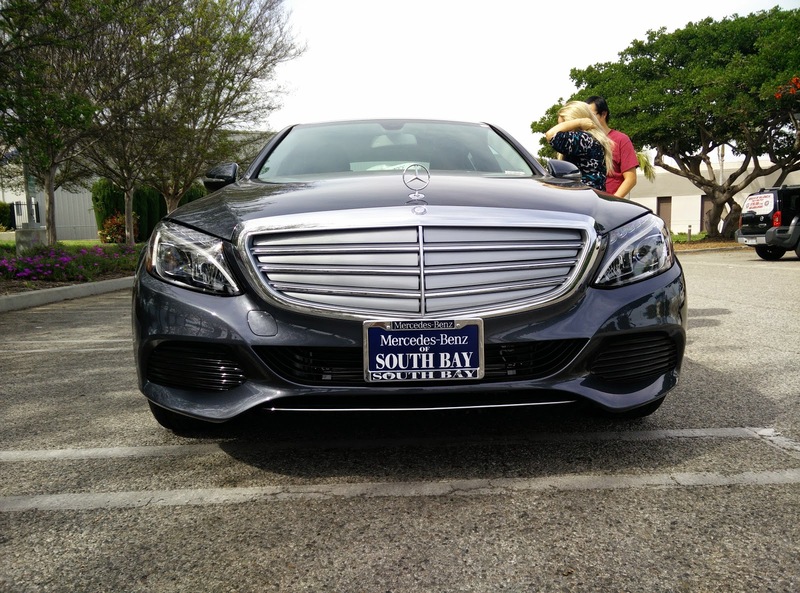 Besides that flaw, the new C300 is a fantastic looking vehicle. Considering the price tags on some of these vehicles, the interiors could be spectacular. Unfortunately for some, that definitely is not the case. Cadillac once again falls dead last as its interior looks a bit gaudy and feels rental car cheap (not surprising since the ATS has become a rental car staple). The IS250 is not that much better, with its entire center console covered in cheap plastic and using one of the most ergonomically convoluted pointing devices for its infotainment system. The only reason it ranks higher than the ATS is because its leather is better quality. BMW and Audi could have been tied for fourth as both vehicles try to use some kind of additional trim to avert your eyes from the cheap plastic, although the Audi ends up ahead because the aluminum trim they used just looks better than the fake wood used in the BMW. Acura's TLX takes third because from an overall design and feel, it is pretty darn good. There are a few cheap spots here and there, but unless you are paying attention, you hardly ever notice them. The S60's interior is pretty spectacular considering the cost. Unfortunately, it did not quite take first place because its center console is still incredibly cluttered with buttons, but the seats are some of the most comfortable ever placed into a car. The winner? Mercedes Benz's all new C300. That interior looks like it belongs in a car much more expensive than it actually is. Even though the nav screen looks like an afterthought, the rest of the interior just looks and feels extremely high class. Nicely done, Mercedes. Four of these seven vehicles now come equipped standard with turbocharged engines. Just because the engine has a blower attached does not automatically mean it is the better than the naturally aspirated variety. The transmission the engine is attached to plays a big part in power delivery as well and can make or break an engine regardless of forced induction. With the oldest engine and transmission combination of the group, the Lexus IS250 places dead last. Its small displacement 2.5 liter V6 feels gutless, and mated to its ancient six-speed automatic makes the engine feel slow and lifeless. This old combination also nets the worse fuel economy of all the cars in this comparison. Audi's A4 does not fare much better than the IS250, but mainly because of Audi's transmission choice. Matched with the right transmission, the 2.0 liter turbocharged engine in the A4 is fantastic. Unfortunately, Audi chose to go with a CVT, turning this fantastic engine into a useless lump of dead weight. Cadillac's ATS fares better than the Lexus and Audi as its engine and transmission choice, though also older in comparison to the other cars, actually offers good mid-range acceleration. The transmission shifts slower than I would like, and the engine sounds a bit too raspy, but it is otherwise a decent combination. I feel like the Mercedes C300 could have placed higher. The transmission shifts reasonably quick, and the engine provides ample grunt down low. It just does not feel like it provides ample grunt down low. Despite having the highest torque rating of the group, the C300 simply does not feel as quick as it should be. Something about the delivery of the power lacks the thrust expected given the stats. BMW's 328i has a similar setup to the C300 (2.0 liter turbo inline-four, eight-speed automatic), but the BMW handles its power delivery far better than the Mercedes. The TLX may not have the most powerful engine in the group, but its new dual-clutch eight-speed transmission is magnificent. It is easily the smoothest shifting transmission in the segment. Mated to Honda's incredibly smooth 2.4 liter inline-four, and you have a great drivetrain combination. It could use a bit more power to be more competitive, but it is otherwise fantastic. Volvo takes the first place prize in this category. Its 2.0 liter turbocharged inline-four is powerful and feels as such throughout the entire power band. The Aisin sourced eight-speed automatic, while not quite as smooth as the DCT in the TLX, works smoothly and quickly. Best of all, it returns fantastic fuel economy if you are light on the throttle. 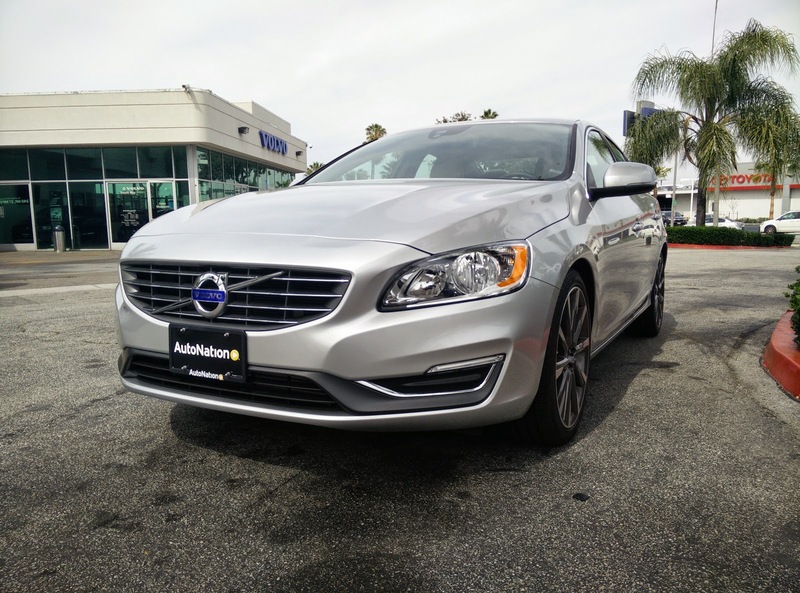 The S60 easily has the best drivetrain combination of this group. Most of the cars in this segment are marketed as "sport sedans," but often do not really live up to that name. Take the last place finisher, the Audi A4, for example. With its Quattro all-wheel drive system missing, the A4 plows the nose quite a bit and the steering feels completely numb. Its ride is decent but is certainly not the best of the group. Taking sixth place is the Cadillac ATS. Being a rear-wheel drive car, it manages to avoid the understeer issue exhibited by the A4, but the car definitely feels like it was sprung more for comfort and feels a bit squishy, but somehow manages to fail at eliminating all of the impact harshness of going over a pothole. The ATS also rolls a fair amount when tossed into a corner. Next in line is the Lexus IS250. Like the A4 before it, it has very lifeless and numb steering. Fortunately for the Lexus, its handling is better than the A4 and ATS and the ride is reasonably comfortable. 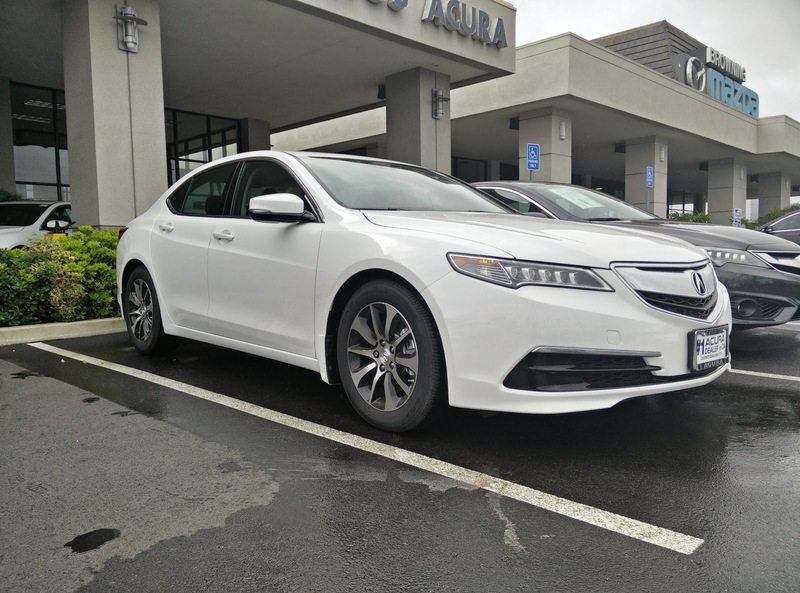 Acura tried to strike a balance of comfort and sportiness, but it would seem the ride tilts a little in favor of sportiness. It does not quite soften the blow of poor road conditions quite as well as the top three cars, and I suspect having the 18 inch wheels would make the situation worse. But, there are people who prefer a firmer ride, so perhaps the TLX could be your car. It also rotates quite well for a front-drive car, thanks to its four wheel steering system. While the C300 is definitely more softly sprung than its competition, it still handles quite well. Then again, so do the cars in first and second place. What makes the BMW stand out better than the C300? 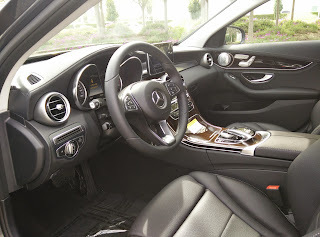 It handles much flatter than the C300, and just makes the driver feel more confident while cornering. What prevents the two Germans from taking first place though are their steering wheels. Both cars have dull and lifeless steering, which is a real shame. Even though the Volvo slightly understeers into corners, it still corners very flat. What makes it better than the rest is its steering rack. It is easily one of the most communicative electric steering racks I have ever had the pleasure of driving in recent memory. At no time during my drive did I ever feel like I did not know what the front wheels were doing. As the version of the C300 we tested happened to be the luxury version, the cabin seemed much more insulated than the other cars in this test, giving it a huge advantage in the NVH area. Surprisingly enough though, Volvo's S60 comes really close in this area. It does not feel quite as isolated as the C300, but there are people, like myself, who prefer a little noise coming in from the outside world. The Lexus comes in third. It did a pretty good job of keeping outside noises to a minimum, and its fantastic build quality means there was nary a rattle inside the cabin. Of course, it just was not quite a quiet as the C300 or S60. 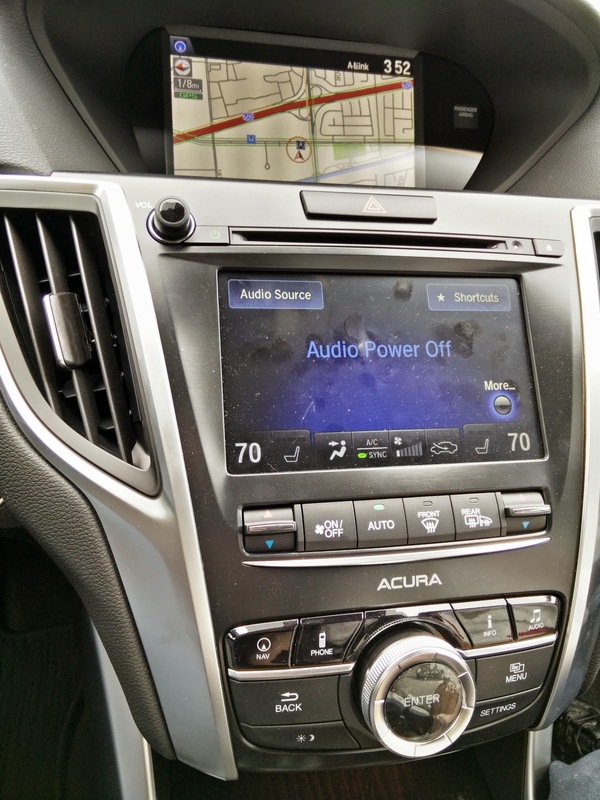 Acura has always been a relatively poor performer when it comes to NVH, but they seem to be coming a long way in that area. 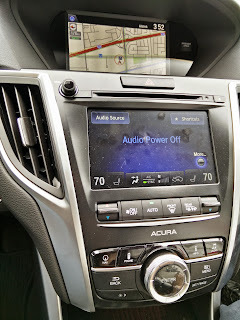 At higher speeds, road noise does seem to permeate the cabin more than the top three cars (a possible result of Acura's poor tire choice), but is still manageable, especially with the car's noise isolation system in use. BMW's 328i probably could have been just as good, but for whatever reason, the build quality of these things seems to be dropping. There was a lot more road and engine noise than I had expected out of the 328i, but it was not as bad as either the A4 or the ATS. While the A4 could use some real work in this area, at least it does not sound like a cheap rental car like the ATS does. This was probably the easiest category to rate. 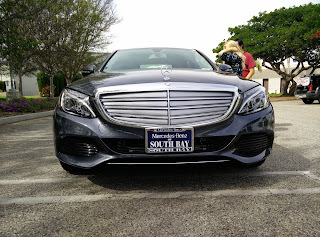 Which car had the most equipment that we would expect out of a luxury car in this class with the smallest price tag? That honor goes to the Acura TLX. 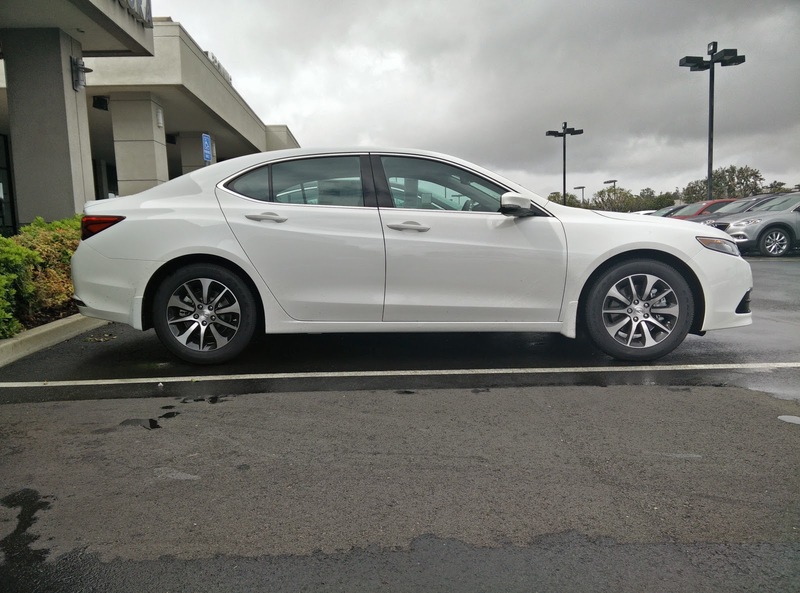 With an as tested price of $36,420, the TLX has everything we expected, such as navigation, a back up camera, HID or LED headlamps, memory seating, etc.. 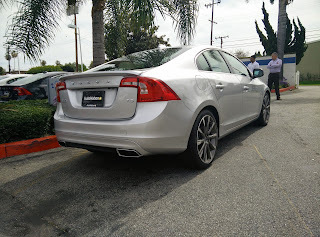 The Volvo came close, having pretty much everything the TLX had (except the HID lighting), but for a higher price tag. Mercedes Benz's C300 also pretty much had everything we were looking for, but at a price that was even higher than the Volvo. While the Lexus is a little more than $1000 cheaper than the C300, I cannot excuse the cheap interior materials and the carryover drivetrain. Cadillac's ATS is where things start missing from our list of equipment. With no navigation or HID lighting, the ATS' price tag of around $40,000 seems rather high. Audi expects you to pay roughly the same price for its A4 as the ATS, but is missing equipment like a back up camera, memory seating, or even a push button start. Now, why does the BMW 328i place dead last? Because BMW wants to charge you $50,000 for this car, but cannot be bothered to include a back up camera, or HID lighting. In fact, BMW though having halogen bulbs in reflector housings in their $50,000 sedan was an OK choice. Even the lowly Honda Accord LX at least uses superior projector housings for its headlamps. 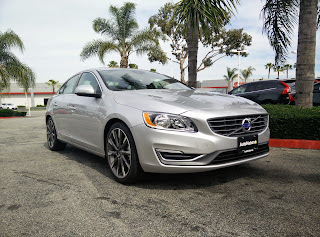 The winner, by a fairly large margin, is the 2015.5 Volvo S60 T5 Drive-E! In all honesty, this is a fantastic car. It does have a slight tendency to understeer, and the center console could use some cleaning up, but besides those two faults, I simply cannot think of another reason to dislike the S60. It is a shame this car does not sell better, which I tend to blame on our culture more than anything. When people think luxury car, they automatically think BMW, which is probably why the 3-series continues to move over 10,000 units monthly despite it being far from the best mid-size luxury car, in my opinion. 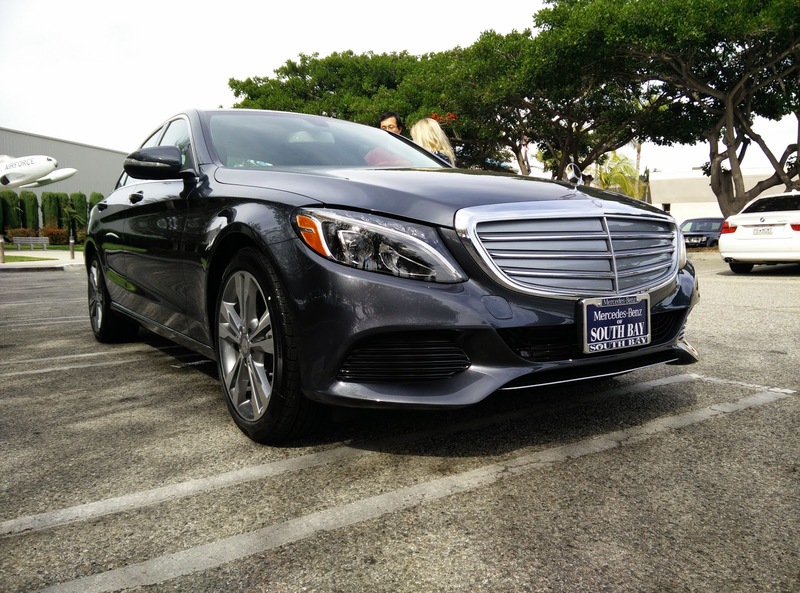 Mercedes' C300 comes in second place. While it is certainly a fine vehicle, there are some larger faults with the car that prevented it from achieving a first place finish. For starters, the drivetrain could use some polishing. Having all that torque, yet having the car feel as slow as it does is disappointing. The C300's other fault is its pricing. While reasonably well equipped, it is still a bit expensive for what it is. Acura's attempt at fighting its way back into the mid-size luxury segment has been admirable. During the month of April, the TLX managed to rank third in sales behind the Mercedes C-Class and BMW 3-Series. It is certainly a much better vehicle than anyone would have expected from Acura, but could still use some fine tuning. Major points were deducted from the TLX's total in the looks department. From certain angles the TLX looks quite boring. It also feels like Acura may have made too many compromises in the car's handling and NVH prevention. The V6 equipped, SH-AWD version does fix the handling problem, but hopefully a mid-cycle refresh will help it achieve a better NVH rating. It is hard to praise BMW as creators of the "ultimate driving machine" anymore. BMW's insistence on catering to the growing population of "luxury" drivers has really taken a toll on image of building cars that are fun to drive, regardless of what trim level or engine is equipped. For whatever reason, people want dull, lifeless steering, and BMW delivers that in spades. The interior of the 3-Series leaves a lot to be desired, and the vehicle's NVH is not all that great. What does save its bacon from placing lower is the fact that the car still handles marvelously and the engine feels quite powerful, possibly a result of being significantly under-rated. Unfortunately, none of that makes up for its stratospheric price tag. At over $50,000, it is still missing a lot of equipment that you would find standard on a Honda Civic. The Lexus IS250 feels old even though it has only been on the market for a few years. Its entire drivetrain is carried over from the previous generation, and really needs to be retired for good. What happened to the Toyota/Lexus that built amazing inline-six engines? Could we get one of those with modern direct injection planted under the hood of this thing? That interior is pretty awful too. Not only does the raised center console make the front of the car feel cramped, it is adorned in some of the cheapest plastic I have ever felt in a vehicle. The only other car that feels cheaper is the Cadillac ATS, but I will get to that in a bit. What saved the IS250 from a last place finish was the fact that it still handles reasonably well and the fact that Lexus does NVH mitigation like they invented the concept. And so we get to the last place vehicle: the Cadillac ATS 2.5. Cadillac really wanted to build a car that would compete with its German rivals, and I believe it has...so long as you get one equipped with the 2.0 liter turbo inline-four or the 3.6 liter V6. The 2.5 liter, naturally aspirated inline-four equipped ATS is, for all intents and purposes, the rental car special. Cheap feeling interior, below average acceleration, and spongy handling all attributed to the ATS' last place finish in our comparison. In its current guise, the ATS has been on the market for a little while, and is probably due for a mid-cycle refresh. I just hope that whatever Cadillac does to refresh this car will also trickle down into the 2.5 version, eliminating that "rental car" feel from this car. Once again, congratulations to the Volvo S60 for proving itself to be the best bang for the buck mid-size luxury car in this comparison. Its combination of strong performance, functional and comfortable interior, balanced handling and great fuel economy make it the ideal luxury mid-size daily driver. Celebrate National Bike Month with us!